Use the library catalog (OneSearch) to find books! Locate print books, eBooks, DVDs, and videos. We own a variety of materials on teaching strategies, educational theory, and curriculum development. We also have a collection of children’s books and curriculum materials. Access eBooks and read them online from any computer. 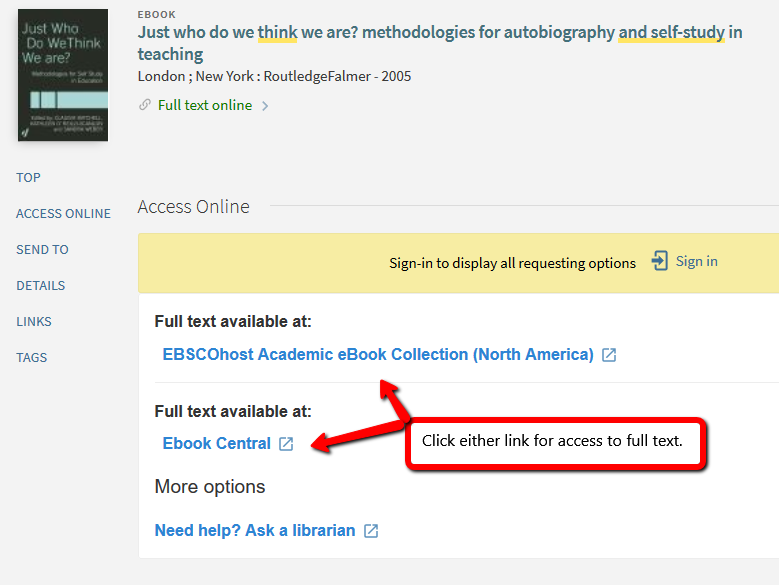 eBooks have the same content as the print version, but the entire text is online. Five weeks go by fast, so waiting for an interlibrary loan (or a book from us) to arrive may not be possible. Because of this, you may want to locate a particular book at a library near you. Search WorldCat to see which libraries in your area own the book you need.